In the precious metals space, exchange traded products such as the SPDR Gold Shares (NYSEArca: GLD), the iShares Silver Trust (NYSEArca: SLV) and other gold and silver exchange traded products command most of the attention, but palladium and platinum are delivering for investors this year as well. The GLD and SLV equivalent for platinum investing is the ETFS Physical Platinum Shares (NYSEArca: PPLT). According to the World Platinum Investment Council, South Africa, the largest producer of platinum and home to about 80% of the world’s proven platinum reserves, has experienced a precipitous fall in platinum investments from an annual $3 billion in 2008 to $1 billion in 2015, reports Emiko Terazono for the Financial Times. Investors mulling positions in palladium should consider the ETFS Physical Palladium Shares (NYSEArca: PALL). 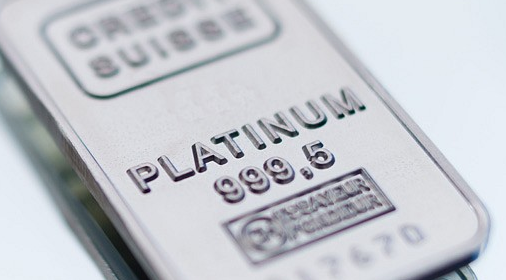 There are good reasons to consider platinum and palladium ETFs. Fundamentals also support the palladium outlook as the market remains in a supply deficit for the past four years, with another deficit on track in 2016. “After underperforming gold in 2016, platinum has now overtaken the yellow metal with a year to date advance of a shade under 34%. A chunk of those gains came just the last week with the spot price climbing 6%. The precious metal was up 12.7% in July and started August with a bang to exchange hand $1,162 an ounce in early afternoon trade on Monday, making it the best monthly performance since 2012,” reports Frik Els for Mining.com.